Lately, I have been quite obsessed with the square scarf. 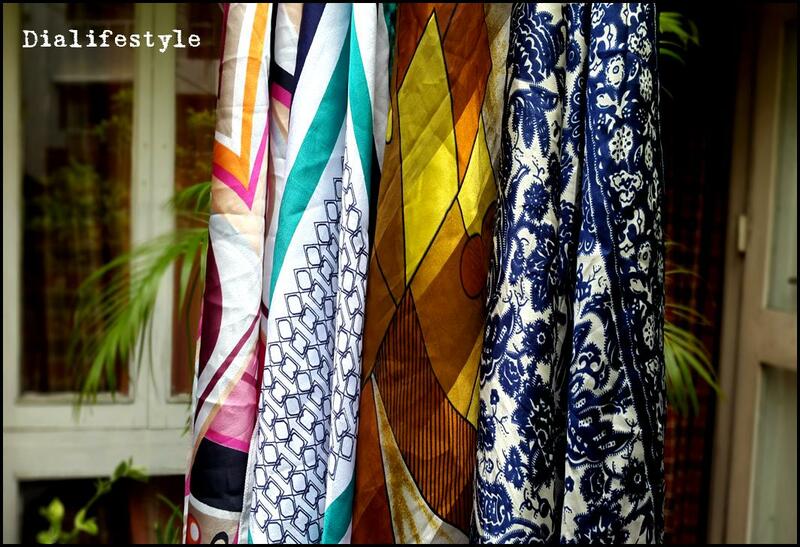 This scarf has an ability to transform a plain outfit to something which screams oomph and style. While trying to master the different knots of the square scarf, I came across the Rose-knot. I was so happy when I transformed my scarf into a silken rose that I almost felt myself to be Cinderella’s Fairy Godmother! The rose knot can be styled in innumerable ways. Here are a few styles I tried. The rose knot is way easier than it looks. All that we need to be careful about is the last step. 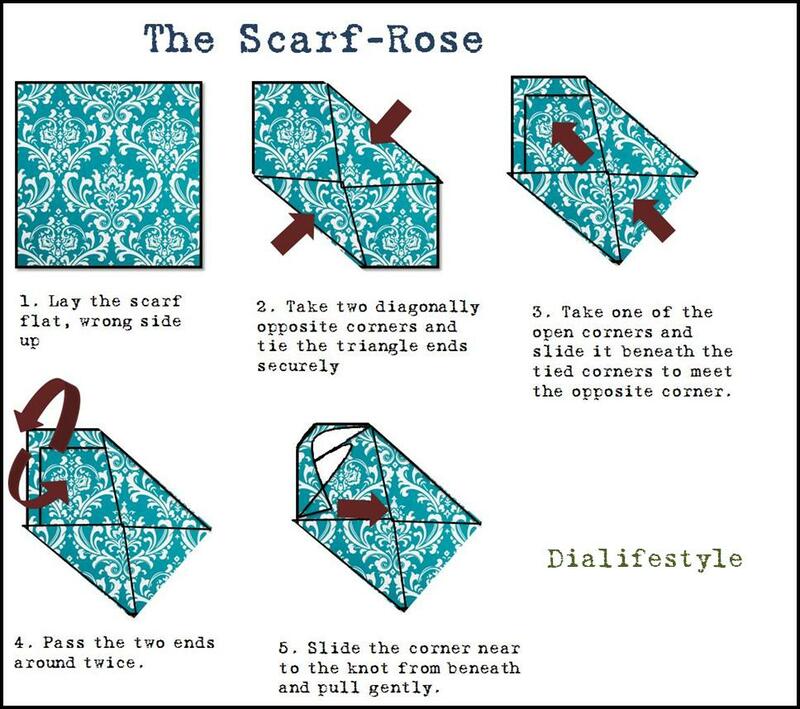 The scarf should be pulled gently so as to not spoil the rose. This look is perfect on the ramp, as well as off it. Team it with a simple summer dress and keep the look minimal. The headgear must be the main focus of the look. 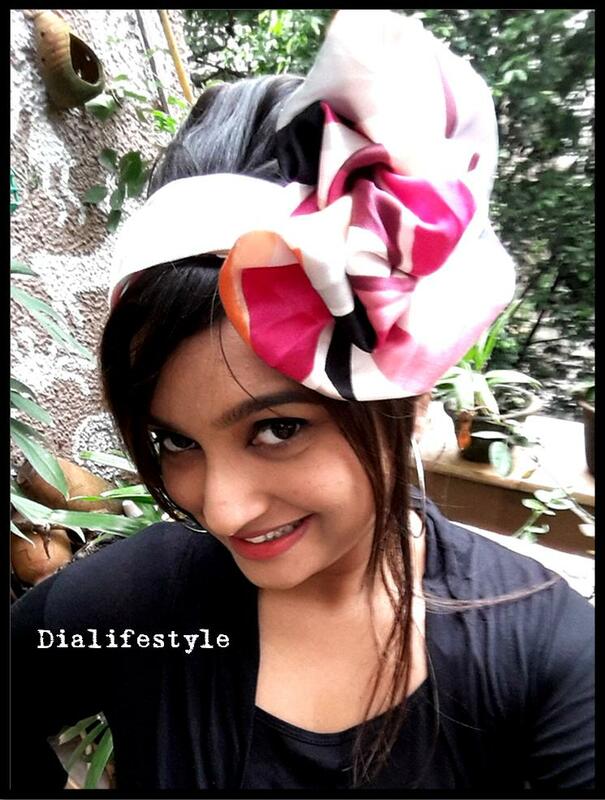 The scarf gives and extremely vintage vibe while the rose adds oodles of feminine charm. This is one of my favorite styles. This will add classiness and sophistication to any plain outfit. Team it with a simple top or dress. Who said flower wrist bands were only for Prom dates? 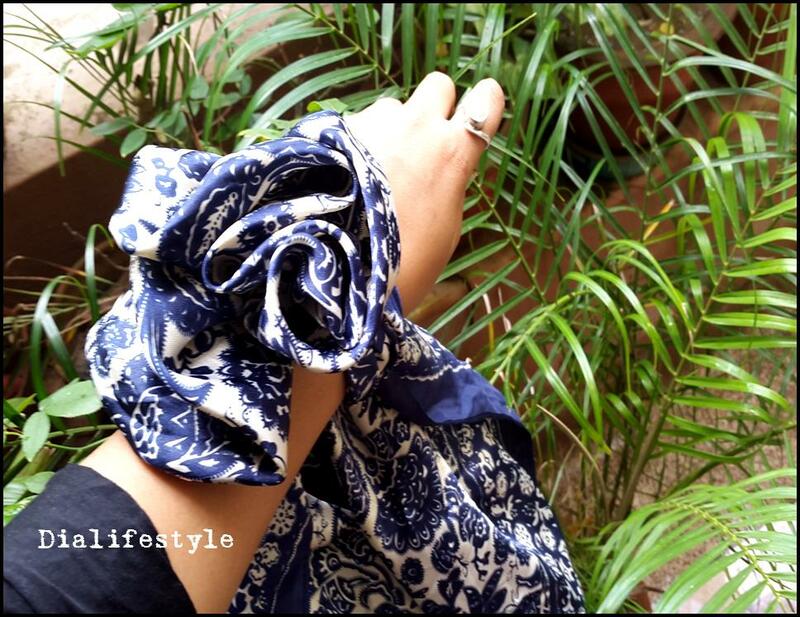 Add a bit of swag to your outfit with a rose-knot scarf around your wrist. Give your sling bag an instant makeover by tying the rose knot to it. If you let your imagination run wild, you can work wonders with the scarf. 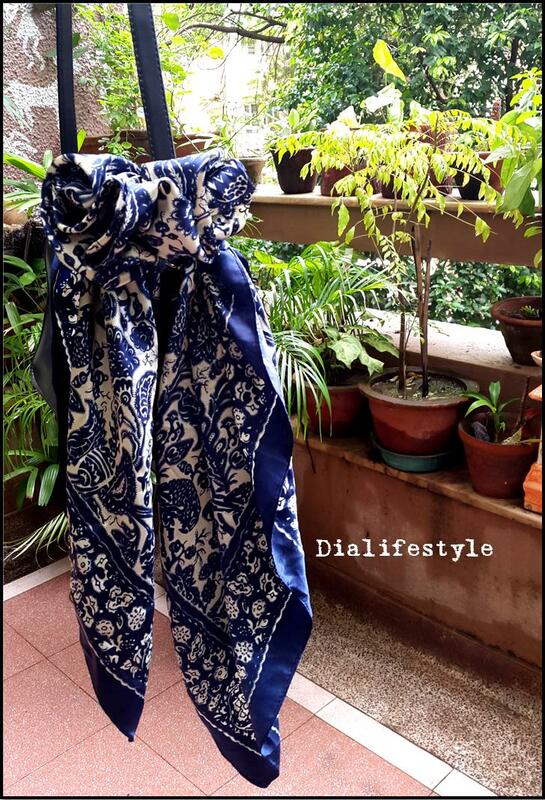 Do let me know how would you style your scarf! I’ll be back soon with another post. 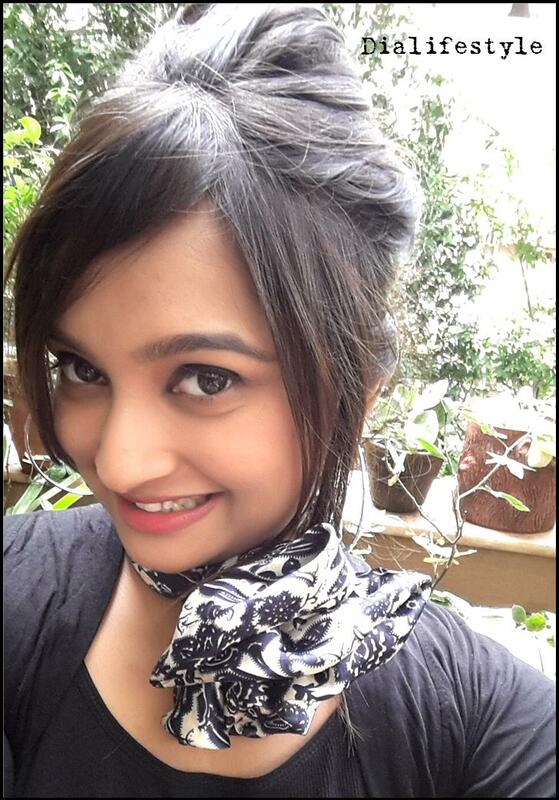 Till then, stay happy, keep that gorgeous smile on!